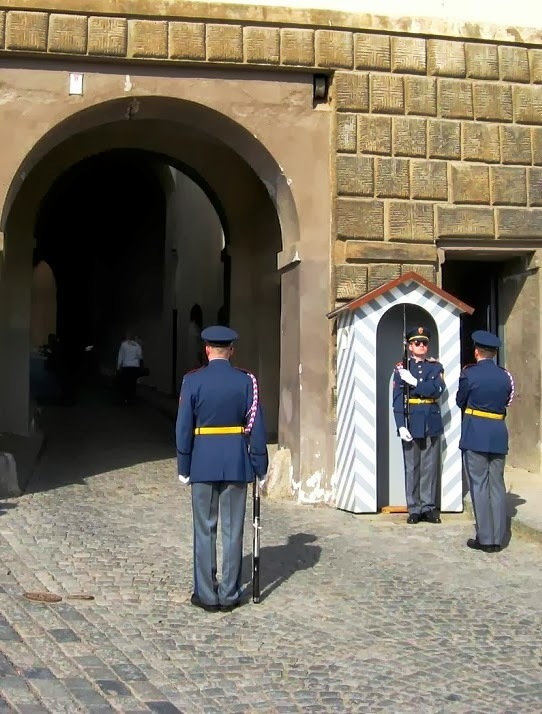 The main entrance to the castle complex is an impressive iron gate on both sides stand honor guard soldiers of the fort. Every hour on the hour is changing shifts, and once a day, at 12:00 pm, there is an expanded ceremony fanfare and waving flags. Fort was always the traditional seat of the rulers of Bohemia. Buildings has survived since the beginning of the Romanesque period, but the shape was designed in large part in two periods in which Prague was the royal capital: first during the Holy Roman Empire, under the reign of King Karl (1378-1346), and later during the Austrian Hapsburg Empire, under the reign of Rudolf II (1612-1576). 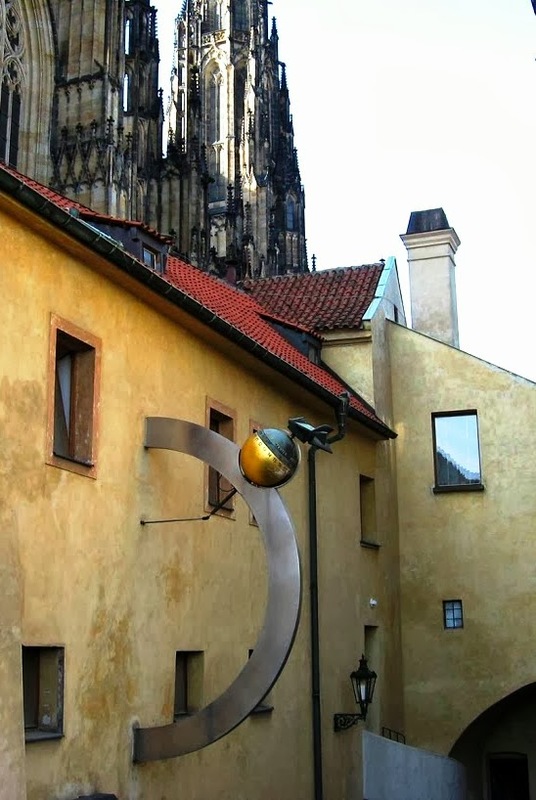 Prague castle area includes a number of beautiful sites that can fill at least half a day of sightseeing. The Castle is probably the world oldest castle.It is a most outstanding structure in town, and the tall towers of St. Vitus Cathedral fills the Prague’s skyline in the full glory. 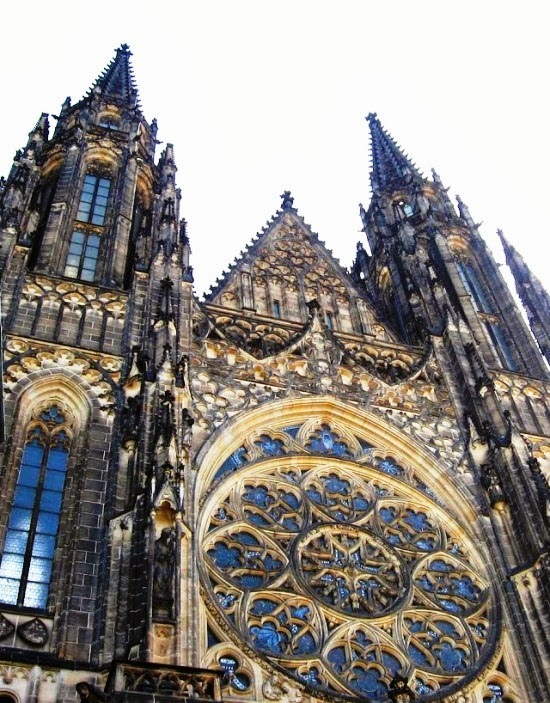 Although Prague Castle is situated on a hill and on arrival it involves some effort it is absolutely worth it, especially visiting beautiful Cathedral of St. Vitus and St. George’s Basilica. St. Vitus Cathedral (Katedrála svatého Víta) is a Gothic masterpiece, and the spiritual symbol of the Czech state. 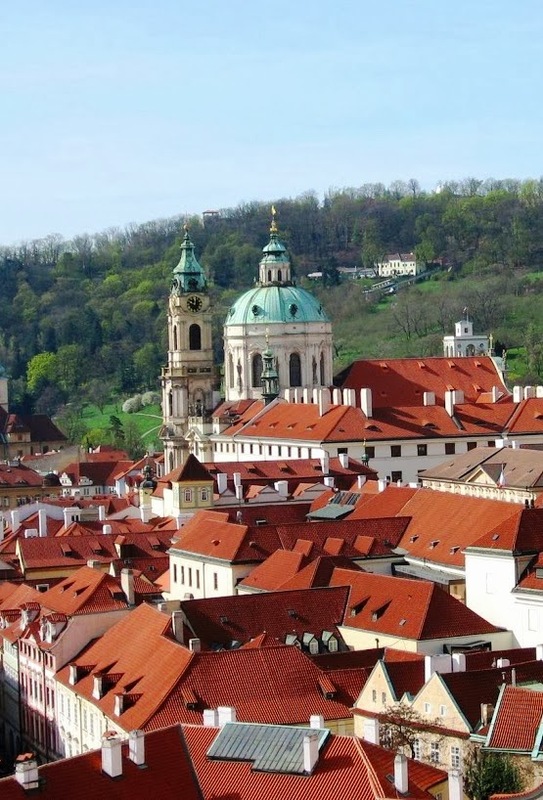 St. George’s Basilica is the oldest church building within the Prague Castle complex. 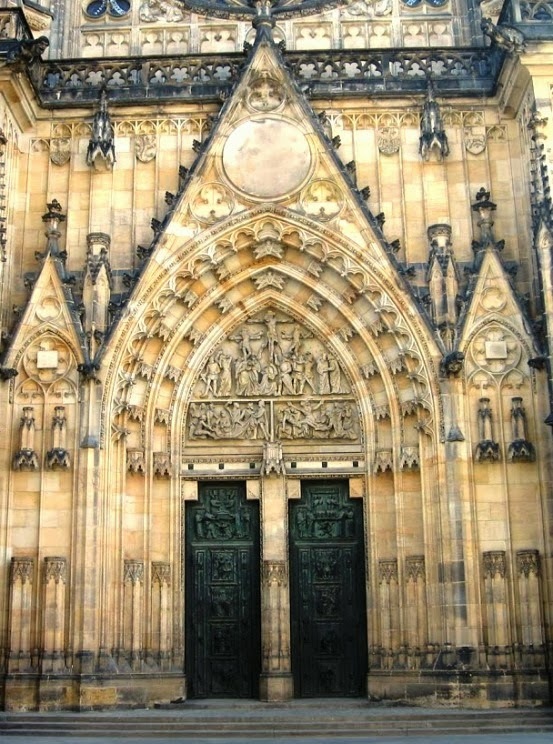 It is also the best-preserved Romanesque church in Prague. 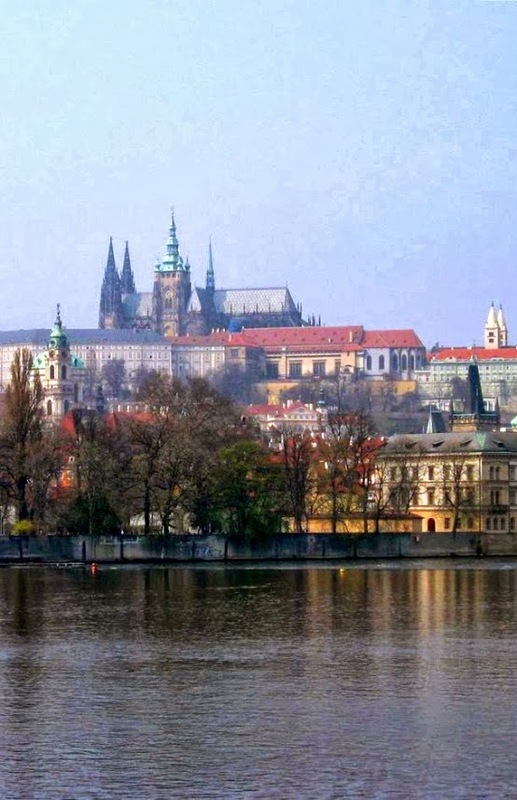 Prague castle is most important cultural, national and historical monument. 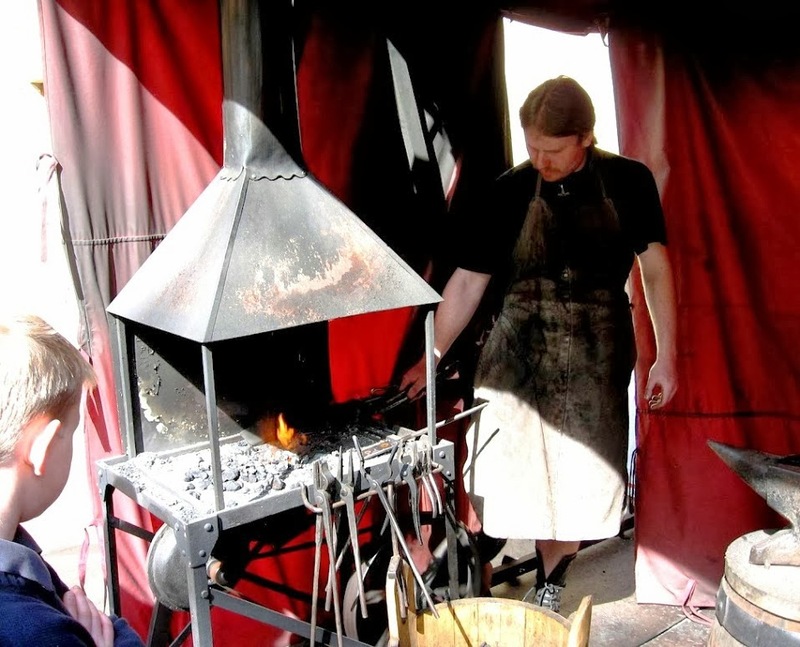 Originally it used to be the residence of princes and kings of Bohemia. St. Vitus, St. Wenceslas and St. Adalbert. 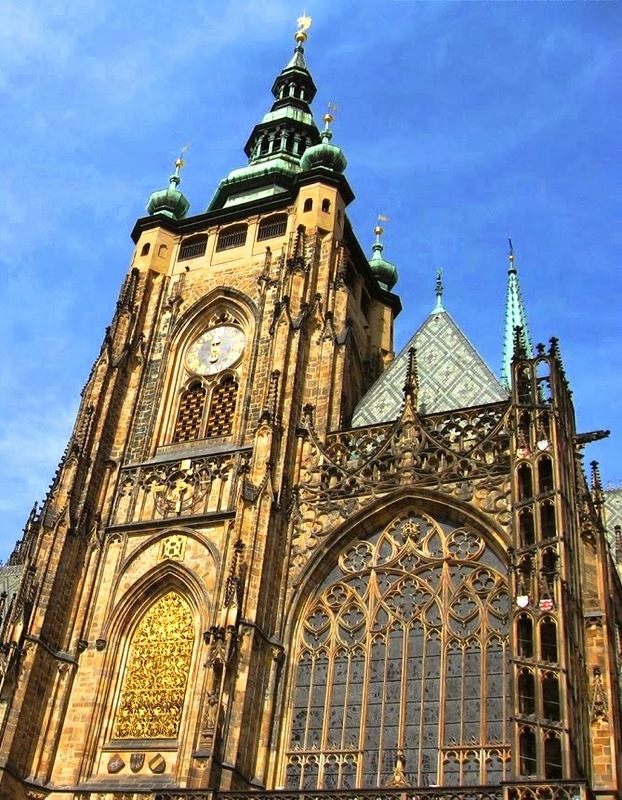 The Cathedral is a Gothic monument, it is a spiritual symbol of the Czech republic, founded in 1344 by Jan Lucembursky (John of Luxembourg) and his sons Karel (Charles) and Jan Jindrich (John Henry) in the place of the original romanesque rotunda. Today it serves as the official residence of the presidents of the Czech Republic, and the seat of government. The Great South Tower of cathedral holds the biggest bell in the Czech Republic, called Žikmund, which dates from the 16th century. You can climb the 90 meters high tower with its 287 steps. The views from the top are worth the effort. If you love art, you will be happy to explore art exhibitions of the castle and nature lovers can enjoy lovely sights of green gardens. 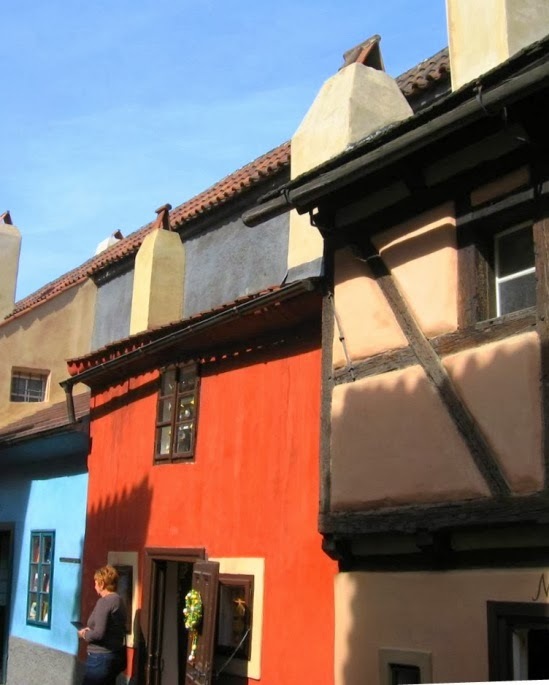 At the northeast corner of the Castle complex is a lovely Zlata Street, commonly known as the Golden Lane or alchemist’s alley with colorful small buildings. Most houses were built in the 16th, and this alley was originally known as Zlatnická ulička (Goldsmith’s Lane), due to the many goldsmiths residing in the houses; some more alchemist than goldsmith! 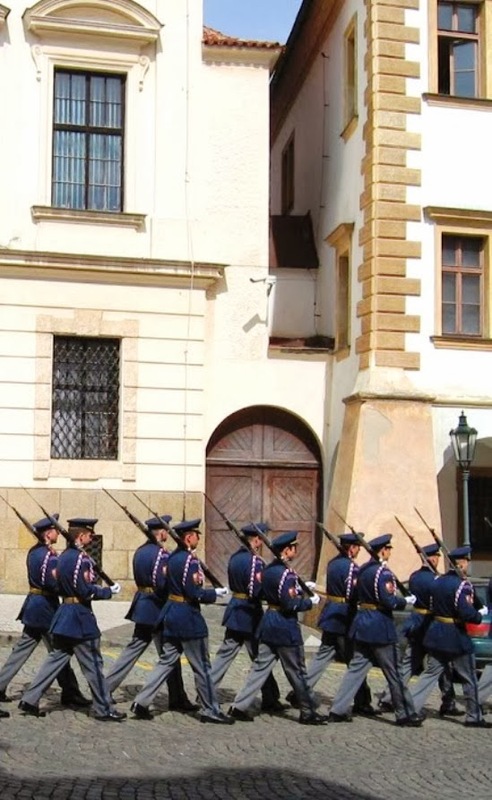 You can get to Golden Lane through the Charles Bridge, from Nerudova Street and Hradcanske namesti. 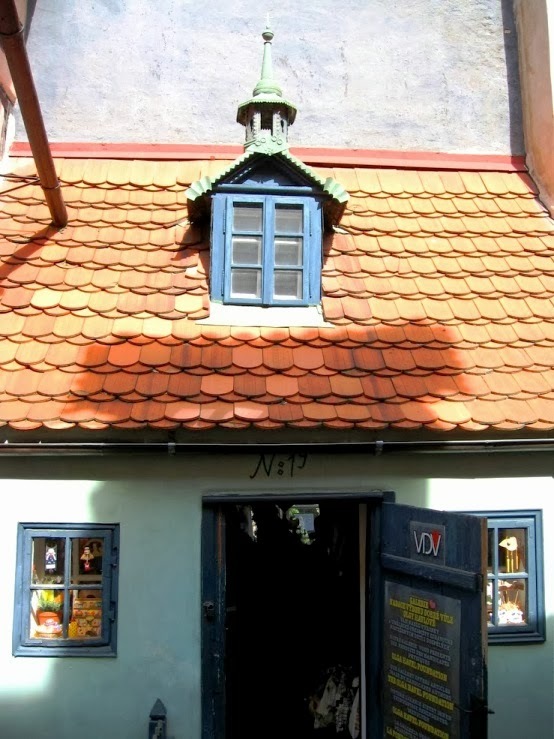 At the end of the visit you can eat authentic Czech lunch at charming Nerudova Street. This street leading to the Prague castle is full of restaurants and souvenir shops, known by its beautiful buildings with lovely ornaments.